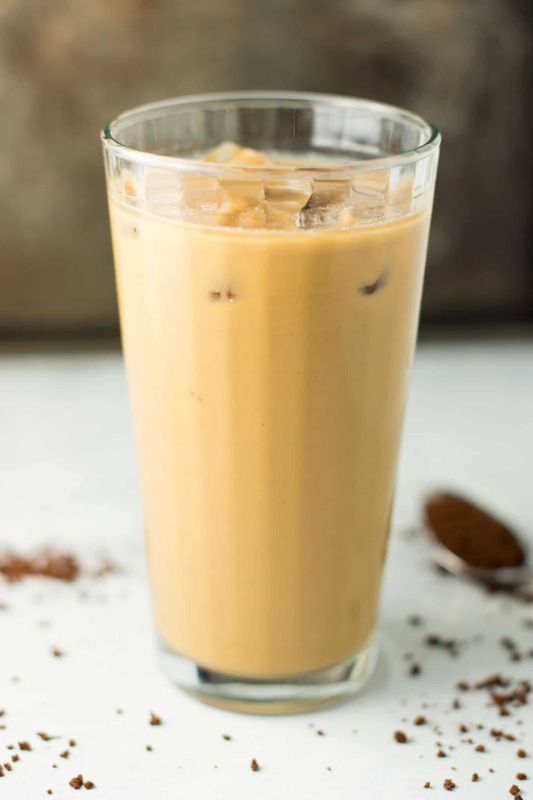 Easy Instant Iced Coffee Recipe - no hot water needed! Just take me to the instant iced coffee recipe! 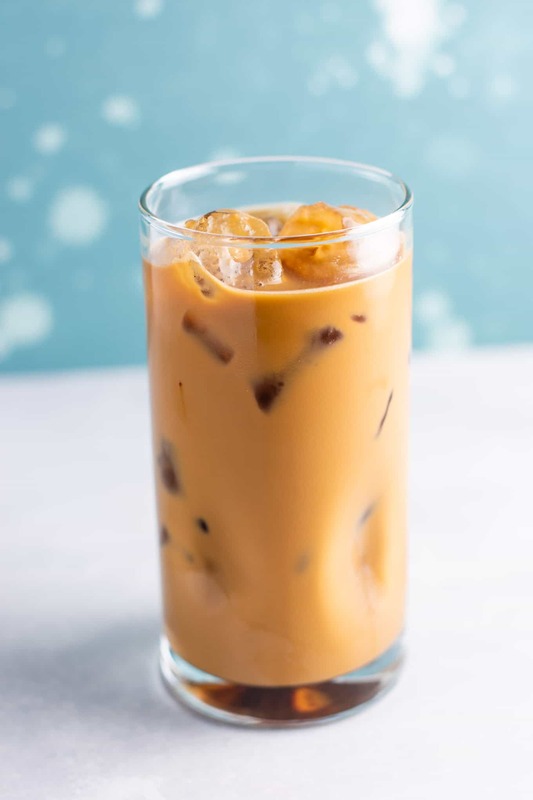 If you want to skip my tips and tricks for how to make iced coffee taste delicious at home, just simply scroll to the bottom of this post where you will find the printable recipe card. I can’t wait for you to try this recipe! 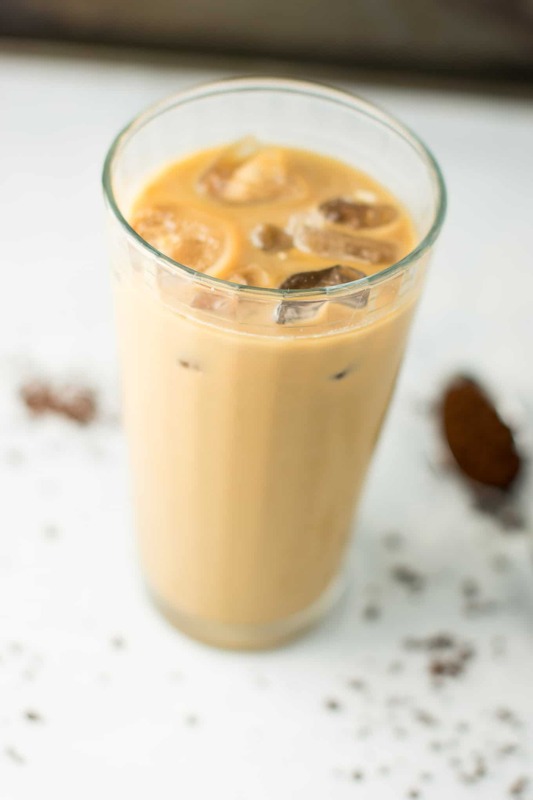 Please leave a review and let me know what you think of this iced coffee recipe. 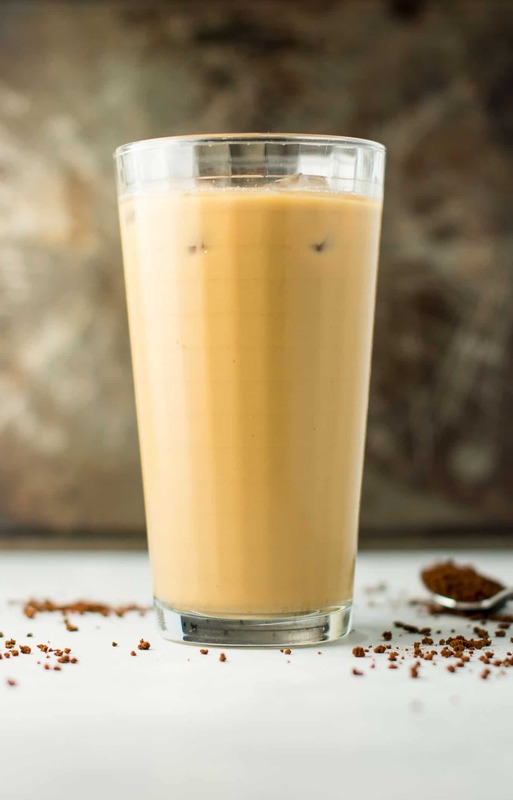 When I first started my blog, the very first recipe that I shared was this iced coffee recipe. I had only tried it for the first time a few months ago, and it was safe to say that I was head over heels in love. This recipe quite literally changed my life. And I cannot get enough! I have drank this instant coffee multiple times a day for four years now and never get sick of it. I’ll admit, before I tried this iced coffee recipe, I actually was not a regular coffee drinker. I didn’t like hot coffee, didn’t want to pay for coffee at Starbucks, and had never found a way to make delicious cold coffee at home. I’m convinced that 99% of people don’t know about this iced coffee hack that has changed my life. I honestly prefer making this coffee to buying coffee anywhere out, as I can customize it to be as strong as I want and use healthier creamer options that don’t leave me feeling bad. My personal favorites are almond and soy milk and almond milk creamers. You can find them just about anywhere these days: walmart, target, kroger, etc. Too much dairy doesn’t do well with my stomach, so I love that these creamers are so affordable and easy to find. They are sweet enough and taste yummy, but aren’t packed full of sugar and artificial flavor. 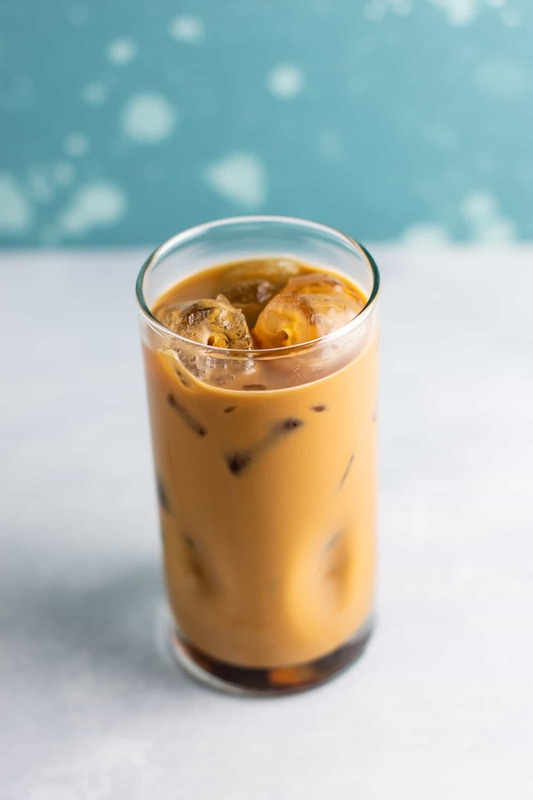 You’ll be surprised how simple this little trick is, but once I discovered it I’ve been making iced coffee a LOT more frequently because of how easy it is! I have always loved iced coffee, but never wanted to spend the time brewing and cooling it. Even if I did do this, it wouldn’t last more than a week or two before I forgot and didn’t want to go through the hassle of brewing coffee every night, cooling it, and putting it in a mason jar. Often I would buy iced coffee out, filled with sugar and artificial additives. I was addicted to frappuccinos in high school! When my husband discovered how to make this coffee, my life was changed.I now drink it literally every day! 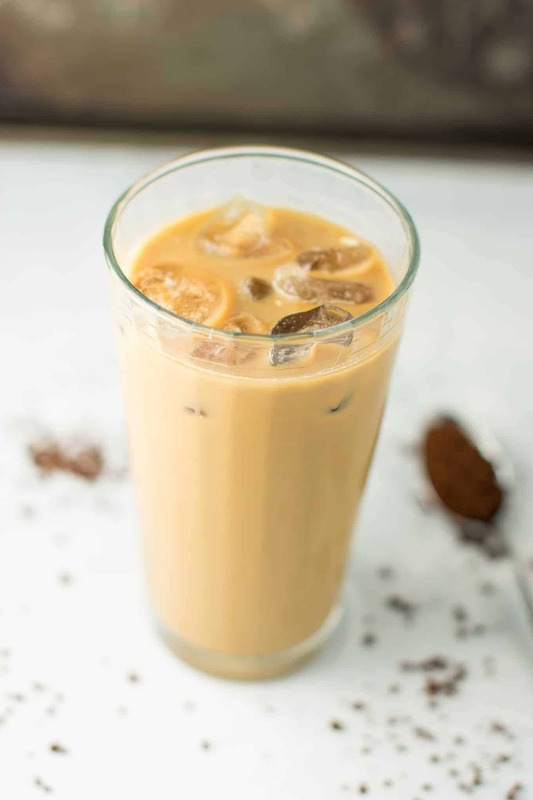 This recipe turned me into an iced coffee addict. It doesn’t matter if it’s summer or winter, you’ll find me sipping on a glass of iced coffee year round. My husband is the same way about his hot coffee, and I tease him about it every summer. I feel like most people prefer one way to the other! Do you? I actually prefer my homemade coffee to anything I’ve bought at Starbucks, etc. When we travel, I take my favorite instant coffee with me, and if it’s a long trip I will make up several coffees and take them in the cooler so that I can get my iced coffee fix. This coffee is rich, flavorful, not too sweet, and best of all only takes a minute to make! No brewing required for this recipe. I’m honest when I say that I prefer my own coffee to anything bought out. I still love some Starbucks drinks, but for everyday drinking, this coffee wins hands down. It is my perfect coffee and takes just minutes to make at home! If you’re a regular coffee buyer, this could save you tons of money each week! Have you ever mathed out how much you spend buying coffee out? I bet it is a lot! With costs anywhere from $3 – $5 or more, it can add up fast. You know how you’ve always been told that instant coffee had to be made hot? Well it also makes iced coffee! Just mix cold water with instant coffee grounds, add some creamer, and stir. It can take a minute or two for the coffee to dissolve, but it does! I usually stir mine up, go do something else for a minute or so, then come back and stir a little more and it is ready! 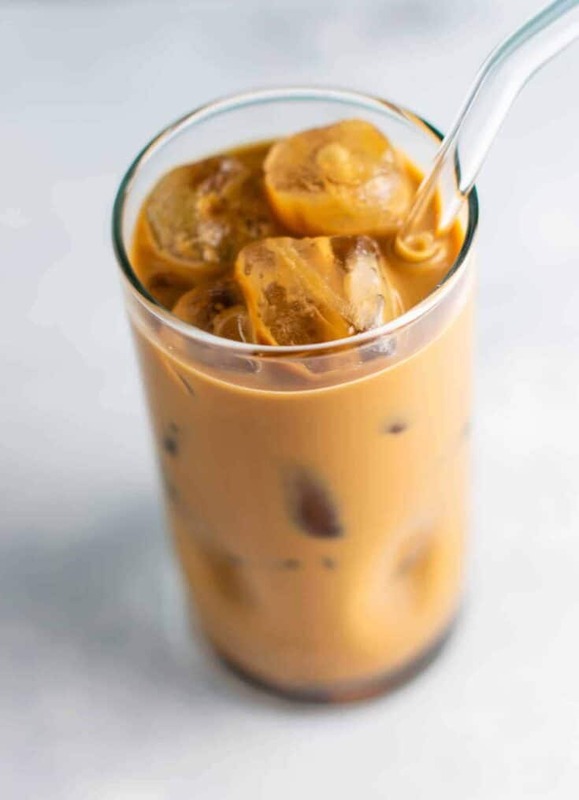 Add ice and you have an iced coffee recipe that’s not only cheap and convenient, but much healthier for you too! 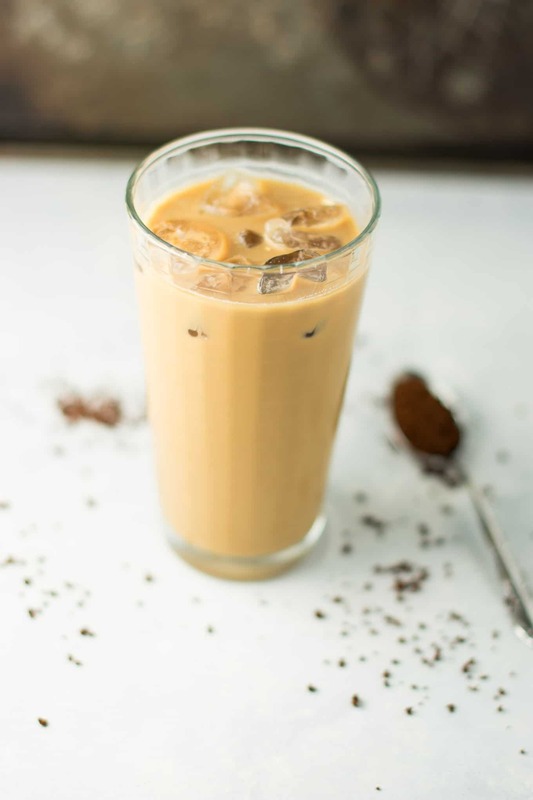 For more methods and tricks, see my post on How To Make Iced Coffee. Are you making this recipe? Be sure to tag me on instagram @buildyourbite and hashtag #buildyourbite with your recipe pictures! I’ve used this method for a few years, after I did a “mishap” — it’s so great! Except that I use lactose reduced milk instead. Also, sometimes I splash some extra water in it, so that it get’s even healthier. Will try it with almond milk soon! (Did try it with wheat-milk, was not a success, to say the least). I love using a splash of almond milk too sometimes to make it more creamy – so good! Sounds awesome! I’m putting instant coffee on my grocery list and giving this a try!!! I add Instant Coffee to my premade Protein shakes. I use the shake instead of water and milk it’s the best breakfast for me! Great idea jenn! I’ve added coffee grounds to my shakes before too..so good! N ow I need to look for Silk Almond Creamer! I haven’t seen it – or even thought about – looking for it…I will now! You can probably request for your grocery store to carry it if they don’t already, it is delicious! !